I work with many clients who are assessing their current romantic relationship or what they want in their future romantic relationship. Both are very useful and beneficial exercises to do. Many people are looking for their soulmate, and someone they can spend the rest of their life with. This idea of a soulmate may stem from wanting to find their own happy ending, that Disney movie fairy tale they have dreamed of ever since they were little. I am not here to say that having aspirations of “Prince Charming” are bad qualities to look for in a soulmate; however, it could set you up for unrealistic and unmet expectations, because “Prince Charming” personifies someone who is always perfect, and truly, no one is perfect. 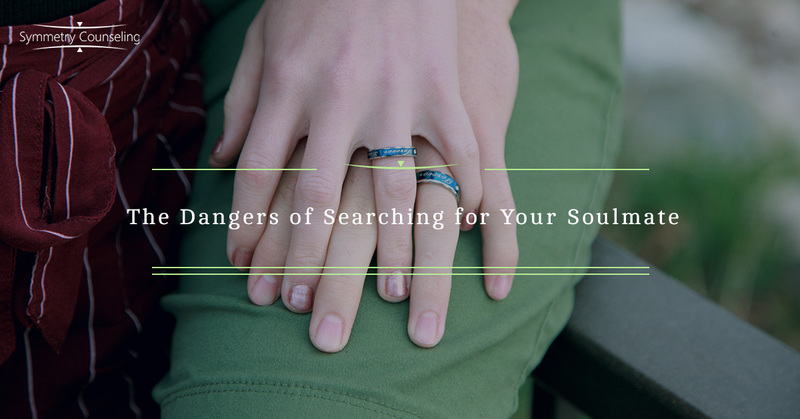 I recently read an article that touched on this very subject from Time, “Why You Should Stop Trying to Find Your Soulmate — and What You Should Do Instead” by author Annabel Gutterman. Gutterman explains that the need to search for a relationship that has realistic, attainable, and not so perfect qualities, and perhaps is even complicated at times, is a better idea than focusing on a soulmate. So how can you do that? Below is a simple guide based on the article to get you started. List Making. It can be helpful to write down a list of qualities you are looking for in your potential or current partner. Doing this allows you to be more specific in what kind of partner you are looking for, as opposed to a vague description as “Prince Charming” or your “soulmate.” It can be helpful to focus more on their personality traits, as opposed to what kind of job they must have or physical qualities. Look Around. We interact with many different couples, whether they are our friends, siblings, or even our parents. It can be helpful to start observing qualities you see in their relationship that you either admire or don’t admire. This might even mean having a candid conversation with them about what worked or didn’t work in their relationship if you feel comfortable asking them those personal questions. You First. Being comfortable and happy with who you are as an individual can help you enter healthy relationships, whether that is in your personal or professional life. If you are currently in a relationship, this could look like focusing on how you are growing individually within the relationship. You can do this by continuing to pursue your passions, especially if they are different than your partner’s passion. For example, if you like playing tennis and your partner likes swimming, that’s great — you can each do those activities separately. Enhancements. It is so crucial to understand that your partner should be viewed as an enhancement in your life, rather than someone who completes you. The thought of thinking someone completes you can be a slippery slope of being too dependent on someone else, which can cause you to lose focus that ultimately you are in charge of you at the end of the day. Life Is Not Always Easy. It is very risky to constantly search for a soulmate because it takes away the idea that life is not always going to be easy. Conflicts happen in your romantic life. That’s okay and is completely normal and even healthy. Conflict can bring couples closer together because it allows them to be open and honest about their feelings. If you are currently struggling with your romantic relationships, it may be a good idea to connect with one of our skilled counselors at Symmetry Counseling today. You can contact them at 312-578-9990 to set up an appointment.